A science scholar in Panjab University here allegedly committed suicide Sunday by hanging himself from the ceiling fan of his hostel room because “he was disturbed”, the police said. 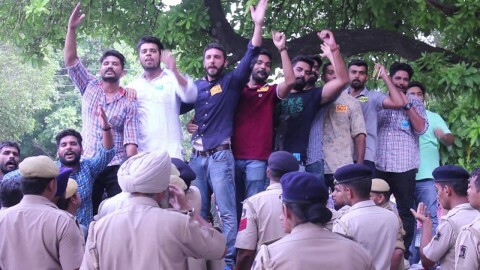 Kulbeer Singh, 27, a native of Kangra in Himachal Pradesh, had to appear for an interview of the Centre for Advanced Studies (CAS) Sunday afternoon, the police said. “He did not come for (the interview). His friends started looking for him but found his body hanging from a ceiling fan in his hostel room,” said a police official. Singh was pursuing his Ph.D in the department of zoology and was staying in hostel number-1 in the campus. “We have recovered a suicide note from the spot in which Kulbeer (Singh) had written he was disturbed for the last few days and took this decision to end his life on his own. Police should not harass anybody,” the police official said. The police have sent the body for an autopsy.